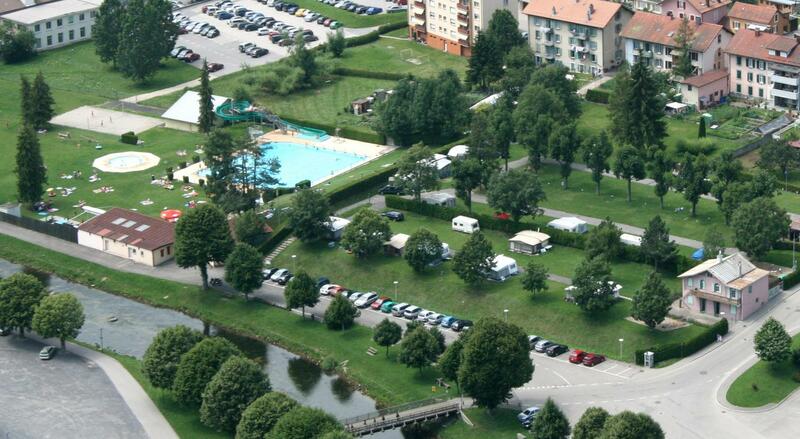 8.89 | VALLORBE | The campsite is located on flat, grassy land, and is partly shaded. It is close to the river Orbe, and only 5 minutes from the centre of Vallorbe. You can choose from a number of different pitches - whether for a tent, caravan or motorhome. Access to the swimming-pool - heated to 25° - is free for campers. You have the possibility to erect 4-season awnings (subject to prior agreement). There is a special offer for new campers: places for the whole season are available from CHF 1500 per year (all-inclusive), with free entry to the swimming-pool.